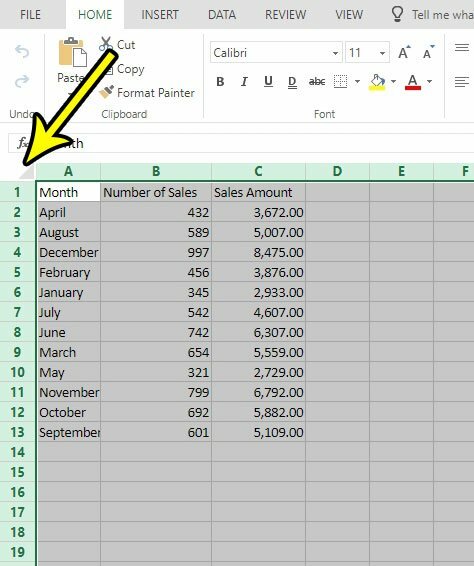 You have probably run into situations in the past where you needed to delete data from a couple of cells in your Excel spreadsheet. This can be as simple as selecting those cells with your mouse, then pressing the Delete key on your keyboard. But if your spreadsheet is very large and you want to clear the data from all of the cells, as well as any formatting that has been applied to those cells, then it becomes a little more difficult. Fortunately there are some tools in Microsoft Excel Online that make it easy for you to not only quickly select an entire spreadsheet, but also clear all of the data and formatting from those selected cells. The steps in this article were performed in the desktop version of Google Chrome, but will also work in other desktop browsers like Firefox and Edge. 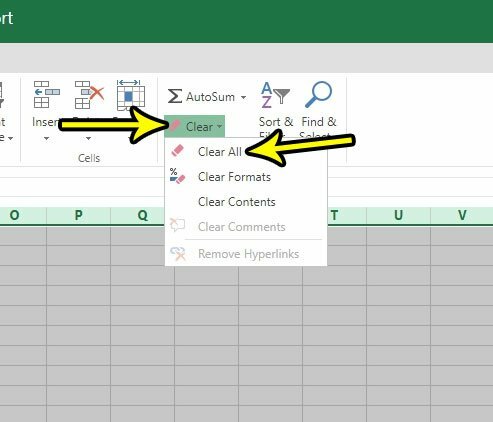 Note that completing the steps in this guide will delete all of the data and formatting in all of the cells in the current worksheet. This won’t affect any of the data in other worksheets in this workbook. 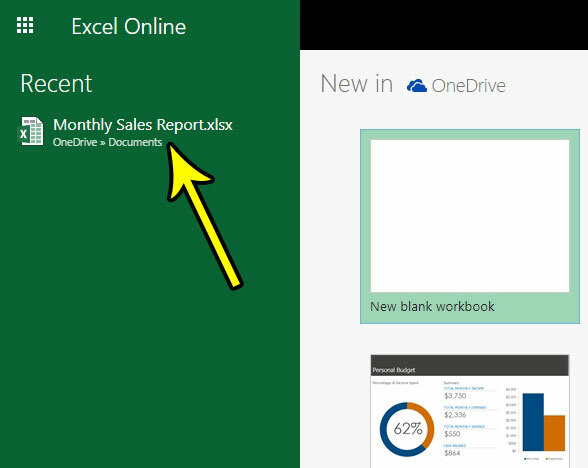 Step 1: Navigate to Excel Online at https://office.live.com/start/Excel.aspx and sign into the Microsoft Account containing the spreadsheet that you wish to clear. Step 2: Open the file from which you wish to delete all of the data and formatting. Step 3: Click the button above the row 1 heading and to the left of the Column A heading to select the entire sheet. Step 4: Click the Home tab at the top of the window. Step 5: Click the Clear button in the Editing section of the ribbon, then choose the Clear All option. Are you finding it difficult to locate a spreadsheet that you need? 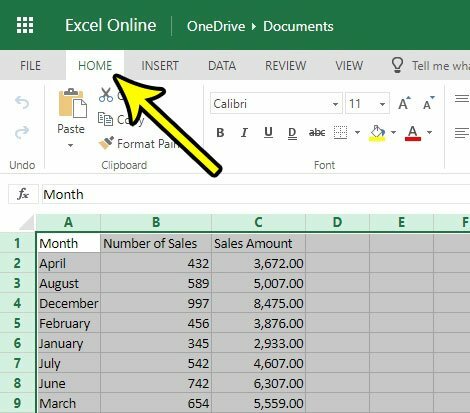 Find out how to rename an Excel Online document and make it a little easier to find the files that you need. What is the Difference Between Emojis and Bitmojis on an iPhone?